Combine parsley, cilantro, garlic, 1 teaspoon salt, and pepper flakes in food processor; pulse until coarsely chopped, about 5 pulses. Add 1/2 cup oil and vinegar; pulse, scraping down bowl as needed, until mixture is combined but still chunky, about 5 pulses. Transfer to bowl; set aside. Pat salmon dry with paper towels and season with salt and pepper. Heat remaining 1 tablespoon oil in 12-inch nonstick skillet over medium-high heat until just smoking. Cook salmon, skin side up, until well browned, 4~6 minutes. Flip and continue to cook until well browned on skin side, 4~6 minutes. Transfer to platter. Spoon chimichurri over top. Serve. Heat oven to 400° F. Heat 1 tablespoon of the oil in a large skillet over medium-high heat. Season the pork with the fennel, paprika, ½ teaspoon salt, and ¼ teaspoon pepper and cook, turning occasionally, until browned, 6 to 8 minutes. Place the pork on a rimmed baking sheet; reserve the skillet. Transfer the pork to oven and cook until an instant-read thermometer inserted in the center of each tenderloin reaches 145° F, 12 to 15 minutes. Let rest for 5 minutes before slicing. Meanwhile, add the remaining tablespoon of oil to the drippings in the skillet and heat over medium-high heat. Add the onion and cook, tossing, until beginning to soften, 3 to 5 minutes. Add the green beans, ½ cup water, and ¼ teaspoon each salt and pepper and cook, partially covered, until the green beans are tender, 4 to 6 minutes. Add the olives and vinegar and toss to combine. 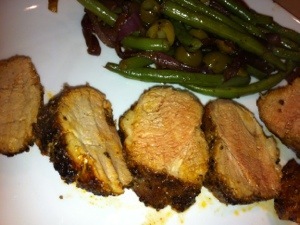 Serve the pork with the green beans. Heat a large ovenproof skillet over medium-high heat. Coat pan with cooking spray. Sprinkle lamb with 1/4 teaspoon salt and black pepper. Add lamb to pan; cook 2 minutes on each side. Spread oil mixture over lamb; place pan in oven. Bake at 400 degrees for 15 minutes or until a thermometer registers 138 degrees. Remove lamb from pan; let stand 8 minutes. Cut into chops. Heat a skillet over medium-high heat. Coat pan with cooking spray. Add onion and jalapeño; sauté 5 minutes. Combine onion mixture, cilantro, and the remaining ingredients. For the Fresh Lima Beans: Cook 2 cups fresh lima beans in simmering water 20 minutes or until tender. Rinse with cold water, drain. Combine 1 tablespoon olive oil, 2 teaspoons red wine vinegar, and teaspoon salt. Add beans, /2 cup quartered grape tomato, 4 cup sliced kalamara olives, and 2 tablespoons chopped parsley; toss well. Whisk parsley, 1/3 cup oil, 1/4 cup minced onion, 3 tablespoons vinegar, 2 cloves garlic, 1/2 teaspoon salt, red pepper flakes, and water together in medium bowl. Whisk remaining vinegar, onion, garlic and olive oil in medium bowl. Stir in hearts of palm and tomatoes, and season with salt and pepper. Season short ribs with salt and pepper and grill over hot fire until browned and beef registers 125 degrees (for medium-rare), 3 to 4 minutes per side. Transfer to platter and let rest 5 minutes. Thinly slice meat against grain. 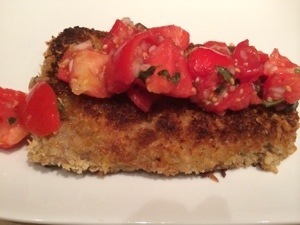 Serve with parsley sauce and hearts o£ palm salad. Heat a large nonstick skillet over medium high heat. Coat pan with cooking spray. Add mushrooms; sauté 3 minutes or until lightly browned. Add crumbles and seasoning. Cook 2 minutes or until heated. Layer lettuce, onion, and crumbles on each of 4 plates. 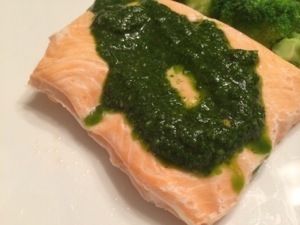 Top with salsa, if desired; drizzle with Cilantro-Lime Vinaigrette. Top with cheese, if desired. Serve with chips. Heat 1-1/2 Tbs. of the oil in a 12-inch skillet over medium heat. Add about three-quarters of the onion, 1/2 tsp. salt, and 1/8 tsp. pepper and cook, stirring occasionally, until golden-brown, 8 to 10 minutes. With a slotted spoon, transfer the onion to a small bowl; set aside. Cook the lamb, cinnamon, 3/4 tsp. salt, and 1/4 tsp. pepper in the skillet over medium-high heat, stirring occasionally and breaking up the meat, until cooked through, 5 to 7 minutes; drain well. Meanwhile, finely chop the remaining raw onion and transfer to a large bowl. Cut the peels and pith from the oranges. Working over a bowl to collect the juice, cut the orange segments free from the membranes. Cut the segments into chunks. Add the oranges, orange juice, cucumber, vinegar, mint, and the remaining 1 Tbs. oil to the chopped raw onion; toss to combine. Season to taste with salt and pepper. 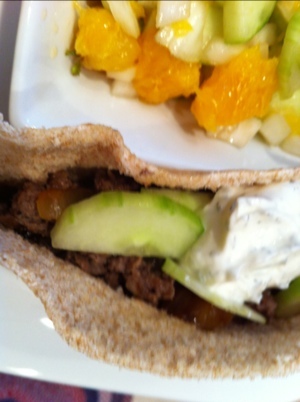 Fill the pitas with the lamb and cooked onions. Add some of the orange-cucumber salad and a dollop of yogurt. Serve the remaining salad on the side. 1. Pat steak dry with paper towels and season with salt and pepper. Heat 2 teaspoons oil in large skillet over medium-high heat until just smoking. Cook half of steak until browned all over, about 3 minutes. Transfer to plate. Repeat with additional 2 teaspoons oil and remaining steak. Add onion and 1 teaspoon oil to now-empty skillet and cook until browned, about 6 to 8 minutes. Off heat, add vinegar and transfer onion to plate with meat. 2. Combine mayonnaise, blue cheese, and horseradish in small bowl. Brush remaining oil over 1 side of bread. Place bread, oiled side down, on cutting board. Spread each slice with flavored mayonnaise. 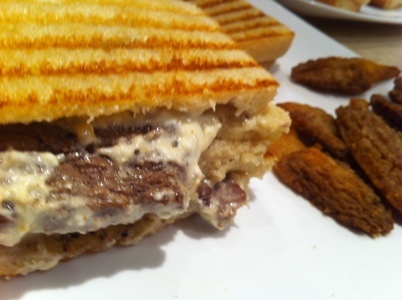 Top 4 slices of bread with steak-onion mixture. Top with remaining bread, oiled side up. 3. Heat grill pan or large nonstick skillet over medium heat for 1 minute. Place 2 sandwiches in pan and weight with Dutch oven. Cook sandwiches until golden brown, about 5 minutes per side. Repeat with remaining sandwiches. Serve. In a food processor, shred beets, then transfer to a large bowl. In a small bowl, whisk oil, vinegar and honey. Pour mixture over beets, season with ¼ tsp salt and pepper; mix well. Preheat broiler. Coat a rimmed baking sheet with cooking spray. Season scallops on both sides with remaining ¼ tsp salt and pepper, then place on baking sheet in a single layer. Arrange figs, cut side up, around scallops and season lightly with pepper. Mist scallops and figs with cooking spray. Broil 6 to 8 inches from heat until tops of scallops appear opaque and figs are juicy and tender, 4 to 5 minutes. Transfer figs to a plate and set aside. Flip scallops and return to broiler, cooking until firm to the touch and opaque in the center, 2 to 3 minutes. Divide beet mixture among 4 plates. 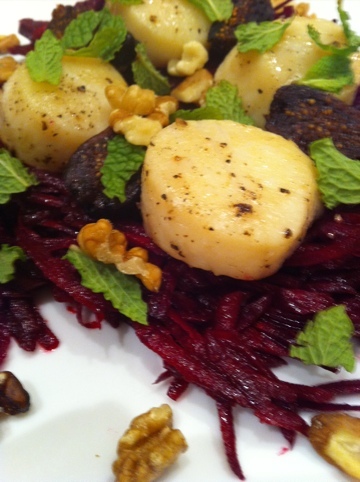 Arrange figs and scallops over top, dividing evenly, and sprinkle with walnuts and mint.